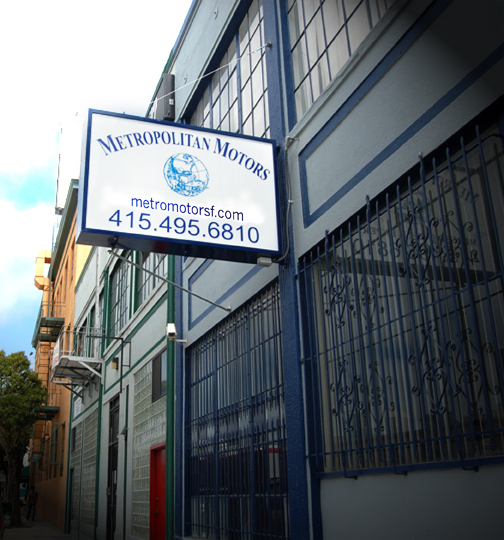 For 19 years, Metropolitan Motors has been serving the community with outstanding auto service. Our impressive team of factory-trained technicians has a commitment to excellence in automotive repair, as well as dedication to the finest customer service. We pride ourselves on our level of knowledge, proficiency and efficiency in getting you in and out quickly. Whether it's an oil change or a more extensive maintenance, you will discover that the quality, care, and professionalism found here are unparalleled to any other automotive repair shop in San Franciso. Our expertise lies in the luxury vehicles we service, while our highly competitive pricing make paying inflated dealer prices a thing the past.